The world is paying attention to Canada right now. Two very important pieces of legislation on consumer products are being debated, which could provide many lessons for the world. House Bill C-45, the world’s most extensive cannabis legalization and the first for a country in the G7, successfully passed on November 28 and goes to the Senate. That’s where they’ve proposed Bill S-5 to amend the Tobacco Act, mandating plain packaging on tobacco products and heavy restrictions on vaping, the electronic alternative to cigarettes. Both changes affect Canadian consumers directly, but also provide lessons indirectly for countries around the world looking to pass similar rules. For cannabis legalization, the federal bill amends the Controlled Drugs and Substances Act and removes the criminal penalty for possession and purchase of cannabis. 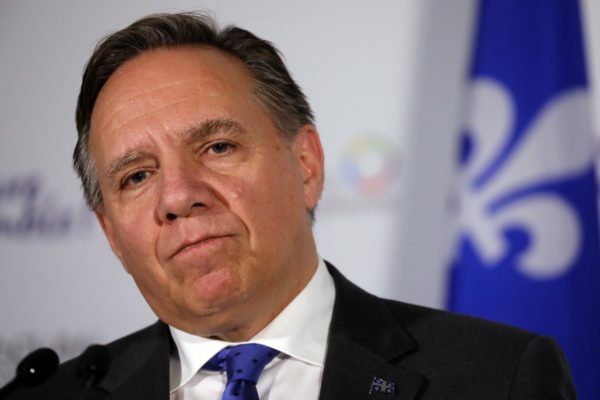 But Ontario and Quebec, notably, are looking to build roadblocks. First, Quebec asked for a one-year extension to legalization in order to “not be rushed,” and made home growing illegal, contrary to the federal law. Second, Ontario announced its dispensaries would be run by the Liquor Control Board of Ontario. A poll conducted by Nanos Research this summer found that 55 per cent of Ontario residents would prefer private retailers to sell cannabis than the province’s own stores. Also on the docket? Whether cannabis products should have their own distinct branding or be plain packaged, replete with graphic warnings, as is currently being suggested for tobacco. The War on Drugs failed because young Canadians ended up with criminal records and low prospects for simple possession. These measures prove cannabis legalization may actually usher in more laws and restrictions than existed before. Daniel Weinstock, a law professor at McGill University, warns there will be even more criminal prosecutions because of new penalties. “There is going to be a steady stream of customers” for criminal lawyers, he said. That’s not good news for Canadians. The War on Drugs failed because young Canadians ended up with criminal records and low prospects for simple possession, while at the same time governments were spending $500 million a year on petty enforcement. Why exacerbate that once cannabis is legal? Let’s create a simple and easy legal regime: repeal the law and adopt modest standards. There’s no need to create a parallel Criminal Code in order to quell fears on pot use. If Canada can do that, it’ll serve as the golden template for countries such as the United States, Germany and the United Kingdom. That could provide dividends for our worldwide agenda and economy in the long run. Meanwhile, on the harm reduction front, Health Canada is adamant about mandating plain packaging for tobacco products, a policy already in place in the U.K. and Australia. In December 2012, Australia passed the first-ever law on plain packaging, aiming to make tobacco consumption less attractive, and thus reduce the smoking rate. Unfortunately, it didn’t turn out that way. A study by economics professor Sinclair Davidson from RMIT University found no statistically significant link between the introduction of plain packaging and reduced smoking. It found that the rate of smoking among young people actually rose from 12 to 16 per cent between 2012 and 2015. That’s despite the reported $12.69 million (AUD) the government will spend enforcing this law over the next decade. Even more, tobacco smugglers trading in the dark have deprived the Australian government of over $1.6 billion (AUD) in lost tax revenue. What makes it worse? Australia has never legalized vaping and electronic cigarettes, which are proven to be more effective tools for harm reduction. The state’s Parliament is debating e-cigarettes before the end of the year. Banning brands and cutting down on vape shops won’t help reduce the number of smokers. Canada should learn from this mistake. 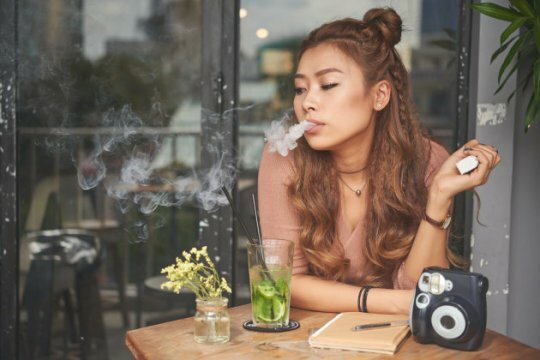 The Tobacco Act’s regulations on vaping should make smart alternatives to tobacco available, such as the market has created in the form of e-cigarettes. Beyond modest regulation, the law should allow entrepreneurs and consumers to grow this industry and get smokers off tobacco cigarettes. That’s smart public policy and health policy at the same time. Banning brands and cutting down on vape shops won’t help reduce the number of smokers, and Canada should make a clear message in the regard. Regulations on all these questions of public health are indeed important and necessary. Canada enjoys one of the highest life expectancy rates in the world, and it can easily maintain that number if it adheres to smart policy on public health. For that, the government should remove branding bans for tobacco and cannabis, allowing consumers to be fully informed about the products they consume. It should fully legalize cannabis and encourage the provinces to treat it like alcohol rather than as the next big danger. It should allow harm reducing technologies, such as vaping, to continue to innovate and provide a fix for smokers’ addictions. Addressing all of that, at a time when most large industrial countries are soon to legislate on such matters, would make Canada a key model to learn from.